Bathroom 7 ways to keep it fresh. It’s a constant battle against dirt and grime. But are there any extra tips that will help you to keep things feeling fresh in-between those regular cleaning sessions? Shower curtains are constantly subjected to a lot of moisture and are rarely dried properly. They’re a breeding ground for bacteria and mould. So it’s much better to swap them for a simple, modern shower screen (such as those here) which can be wiped clean after every use. Get yourself a window cleaners squidgy too to prevent limescale building up on the screen. You won’t have to keep replacing them and the large glass panes will make the room seem bigger. Window curtains in shower rooms can also wind up mouldy, so swapping these for easy-to-clean blinds will keep the room feeling fresher. Whether you opt for new tiles or simply re-paint your walls. Using white and other pale tones instantly makes a space look clean and fresh when you walk in. Plus, it will never date. And you can simply change the theme by swapping the accessories and colour highlights as your taste changes. There are tonnes of benefits to using plants in your bathroom. Many varieties thrive in moist environments, and they give off more oxygen whilst removing toxins from the air. Freshly cut flowers also give off a wonderful fresh scent to impress visitors. Not only can hard soap leave a gunky mess that dries to the countertop, but soap dishes can also harbour bacteria. Opt for a sweet-smelling liquid soap instead which has anti-bacterial properties, and they’ll be no more mess every time you wash your hands. Attach a wall mounted soap dispenser and your cleaning job will be greatly simplified. The better the storage solutions you have and the more you try to keep order, the less spillages you’ll have. Plus, if you have dozens of products out, it can make those crowded areas more difficult to clean and you can get dust build-ups fast. Use tiered storage to make the most of vertical space and reduce the amount of clutter. Have a good clear out too. Why are you holding onto those old fashioned talcs, creams and hair products that no one has and ever will use? Get rid of them and just keep the products you use regularly. If you don’t use a pot, tube or gel every day tidy it away into a drawer or cupboard. Store similar products together in a container so it is easy to find and access what you need. 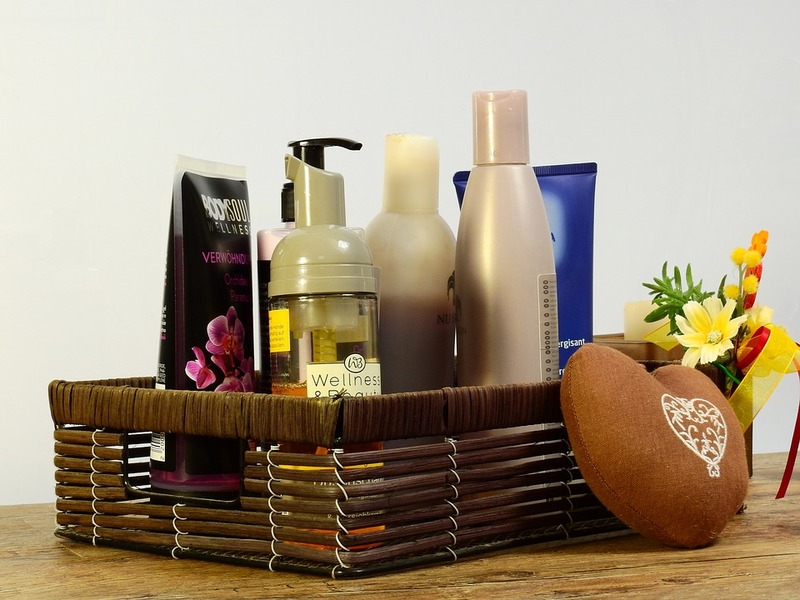 Even if you don’t have the storage to put them out of site, putting htem in a container will amke your bathroom appear tidier adn make it easier for you to move things when you clean. Showers and baths produce a lot of steam, which often settles on the walls to form condensation, which in turn can lead to a mould problem. Proper ventilation can prevent this, so if you have a bathroom window, always open it after the use of cleaning products, chemicals or the shower. If you don’t have a window, remember to install an extractor fan and regularly clean it. Although this may seem like a big job it is essential. A damp bathroom will always be unpleasant, dirty and unhygienic. If you think that by spritzing an air freshener that you’re cleaning an area, you’d be wrong – that smell quickly sinks to the floor and is gone within minutes. Instead, buy essential oils and reed diffusers, which will emit a fresh scent constantly throughout the day. Prevent damp helps to keep your house dry, warm, and free of mould. Keep it as watertight as possible. First of all there are a few areas where water can enter your house. Likewise its important to understand what these areas are. Above all checks can be done to ensure all is as it should be. First of all are the windows and window frames in good condition? Another sign of rot in wooden windows is gaps around the frames. These could be letting in cold air and damp. Also mortar in brickwork – is it up to scratch? Because mortar joints should not have pieces missing . So this can cause structural weaknesses and penetrating damp. Furthermore does your property have a damp proof course and is it working effectively? Look for a line of plastic in the mortar joint about 150mm above you external ground level. In older buildings this could be a line of bitumen or even slate. Certainly check if any air bricks blocked? Look for bricks with holes in them placed at about 150mm above the external ground level. They should be free from blockages and obstructions to allow air movement through them. First of all are your gutters blocked or broken? Furthermore leaves and debris can collect in gutters causing them to block. Once blocked water overflows and runs down walls. Likewise this creates moss and algae and possibly internal damp patches. Do you have any missing, broken or out of place tiles? Above all check your roof for tiles that may have been pulled of by heavy winds. Is the chimney and its surround in good condition? Flashing around the chimney should be sealed into the chimney and flat over the tiles. Any lifting or damaged flashing should be replaced immediately to stop roof leaks. It’s also important to be aware that if you have any climbing plants on your house. They could be hiding some of the above problems. Finally roots of trees near your home may be damaging your foundations and damp proof courses. Check windows and walls for condensation. Normally you see water drops on windows or cold surfaces. In severe cases you may even experience black mould in places. Kitchens and bathrooms are areas where condensation is most likely to form. Which is due to cooking washing and drying of clothes. If you spot condensation take positive steps to control this. This can be done by installing ventilation systems to control the relative humidity. And using anti mould products to remove mould could stop it occurring again. Is all your plumbing in good condition? Is there any damage or visible cracks or leaks around sinks or toilets? 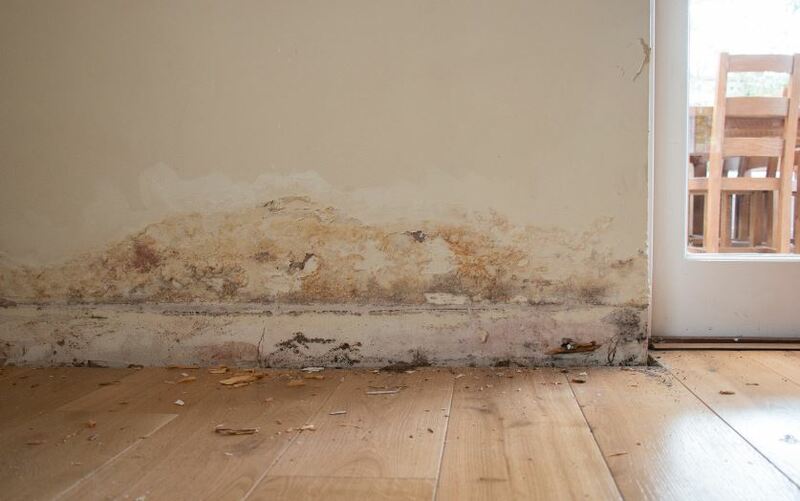 Damp patches across floors and on walls can be leaking or damaged pipes. Damp patches will look like dark areas on walls, floors and even ceilings. Often once the leak has been rectified the damp patch will disappear. If you have had the leak for a long time this may have caused rot within timber. That will require remedial treatment by a professional. Finally if you spot any problems take steps to dry out the damp quickly. Protect yourself If you’re a keen DIY hobbyist. Then chances are you’ll think nothing of touching up some paint, staining wood, or sanding a rough door jamb. On the surface, these can seem like low-risk tasks. But even little jobs can be surprisingly dangerous. Especially if you’re used to doing them and have stopped taking the right precautions before you pick up tools. Some of the biggest risks come in the form of deceptively easy tasks. And even the most experienced handyman can be caught out. I am going to talk about four home DIY hazards that you might overlook. And what you can do to keep yourself safe. All sorts of DIY tasks, from removing tiles to stripping carpets can produce clouds of dust. While this is fine in small concentrations, high volumes of inhalable matter can seriously irritate the lungs and airways. Cutting and sanding jobs can be particularly hazardous. Furthermore when working with wood, MDF, and plywood, it is so important to make sure your workspace is ventilated. You should always carry out any sanding or cutting work outside, or in an airy garage with open doors. If this isn’t possible, then you’ll need to find other ways of ensuring your workspace is properly ventilated. Open as many windows and doors as possible and use a portable fan to help vent matter out of the room. 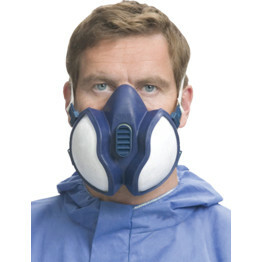 It is also a good idea to wear a respirator designed for cutting and sanding work. If you’ve got a ventilation system in your home or an air conditioner of any kind. Above all you will also need to be extra-careful these don’t become clogged with dust. As these will circulate harmful matter around your living space when you next switch them on. If using a portable unit, put it in a different room while you work. And if not, switch it off and cover the vents with thick paper and masking tape. This will stop any dust from getting inside. Paint strippers contain potent chemicals called methylene chloride, which consequently allow them to break down solvents. While this can be very useful when you need to strip furniture or doors for repainting. As a result it also means they can be hazardous to the lungs and skin if used without the proper precautions. When using these products, you should always wear clothing that covers the arms and wrists. Because in case of splashes or spillages you must protect your hands with a pair of chemically resistant gloves designed for use with your paint stripper. White spirits and strippers also produce fumes that can cause dizziness, nausea when inhaled. So, you’ll need to make sure that your work area is properly ventilated during use and give yourself regular breaks to allow the fumes to disperse. After finishing, you should always make sure that you reseal your white spirits and paint strippers securely to prevent any leaks or fumes escaping and store them in a cool, dark place. If there’s any risk that children might be able to access them, then it’s sensible to keep them in a securely locked box or cabinet in an out of the way place, like the garage. Repairing electrical appliances or rewiring your home can be extremely dangerous. As a result you’ll need to be particularly confident that you know what you’re doing. During repairs, you should always wear insulated safety gloves. And preferably a pair of rubber-soled boots designed for electrical work. While not a failsafe form of protection they’ll offer an extra layer of insulation should something go wrong. Electrical repairs can be complex, and there are lots of things you’ll need to bear in mind. Sso take a look at Electrical Safety First’s guide for DIYers to learn more. Once you’ve finished your repairs, it’s vital you make sure that your work is sound. Improperly repaired electricals will continue to be a danger to you and anyone who comes into contact with them, so if you’re not completely confident that your handiwork is up to scratch, call a professional for a second opinion. Even if you need to fork out for repairs, it’s much better than causing an accident or leaving a potentially dangerous appliance to injure those around you. Most of us think nothing of touching up some cracked paintwork or staining a bit of damaged garden furniture. But, nearly all paints and stains contain solvents, which can cause irritation and even burns, so you should always make sure you’re wearing adequate protection — even for small jobs. Long sleeves, thick work trousers or jeans, and shoes that will protect the feet from splashes and spillages are essential during this sort of work, so make sure you’re fully suited and booted before you pick up tools. Many people avoid wearing gloves during painting and staining work because they think it will hinder their accuracy with the brush, but there are lots of gloves on the market that will protect your skin without compromising your dexterity. A pair of well-fitted latex or nitrile gloves will prevent any skin irritation, and you’ll still be able to apply the paint or stain accurately. It’s also important to ensure you apply these products in a well-ventilated area: if you’re working in a space where opening the windows isn’t possible, then wear a respirator and take regular breaks to allow the fumes to disperse. Even if you’re an old hand at DIY, you should always be on your guard for potential hazards. Remember, if don’t think you have the correct tools or PPE to handle a job safely, then it’s always a smart move to call in a professional — after all, it’s better than risking an accident or paying a small fortune to fix sloppy repairs. Cabinets aren’t the only type of storage device you can build to deposit all your mechanic tools and household items. Tools just can’t lie around. While with new household equipment pouring in from fix after fix, it’s becoming more and more difficult to find a room to simply stock everything. Therefore make the best use out of your space with these do-it-yourself garage storage ideas and maximize what you can do with the entire area–without having to spend so much as a few bucks! Because back when I was still starting out on woodworking and other DIY projects, my tools had no place to go. For instance they were just lying on the table, or on the ground, and sometimes, in the weirdest places, like the kitchen drawer. It took me quite a while to sort out and find ways to store my tools inside the garage. Also when I say that these storage ideas that I am about to show you really work and they can do wonders for your storage needs. Here are several garage storage ideas that you can use! First of all overhead storage may keep your bigger, less commonly-used tools stocked, but tools that are smaller need a more accessible and organized type of storage space. Hence a cost-effective and easy way of storing your commonly-used small tools, you may opt for mounted wall rails. Maybe a more creative and cost-efficient storage of small materials such as nails, bits, and screws, could use simple household materials to create hanging jars. Certainly they are easy to make, they are easy to utilize as well, allowing easy access to the smallest tools of your DIY arsenal. Shelves, shelves, good ole shelves. Because they never grow out of fashion for their obvious usability and ease-of-use. If you’re not too worried about space on the ground, a shelf is always an option. Likewise coat hooks aren’t just for coats. Hence spare bags or dirty rags can be neatly arranged on coat hooks too. Coat hooks can give your garage not just a more usable space, but a nifty aesthetic feel as well. Because the best (and most enjoyable) idea among these garage storage ideas would be to repurpose old, unused things at home to build your own garage storage device. Old plaster boards and unused hooks are great materials to use when making shelves, cabinets, or even vertical storage. Remember those tape dispensers that you had lying around on your desk? Well, you can create your own tape dispenser for your garage! Think of it as an awesome way to keep track of where your tapes are and how much of them are left. To help you out with organizing your tools, I suggest you list down everything beforehand. This will help you decide on which of these garage storage ideas would be best for them. Did we miss out on any garage storage ideas? Tell us in the comment section below.